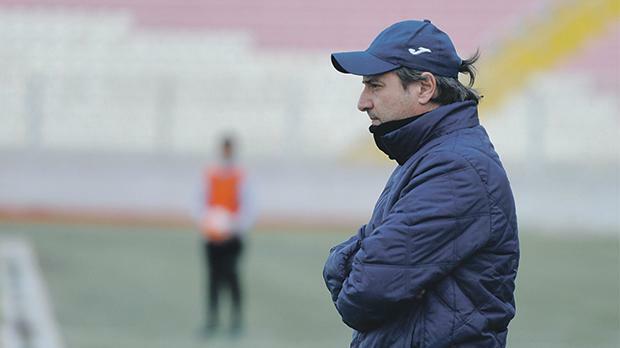 Oliver Spiteri is no longer the coach of Balzan FC, the Premier League club announced yesterday. Spiteri failed to propel Balzan to their first league title in their club history but still managed to help the team qualify for the Europa League qualifiers for a third successive season after finishing second in the final standings. Spiteri held talks with president Anton Tagliaferro, and they both reached a mutual agreement to terminate their collaboration. “Everyone at Balzan FC would like to thank Oliver Spiteri for all the work he has put in over the last three years,” president Tagliaferro said. “During his spell, Oliver has helped Balzan to finish in the top four positions in the Premier League for the last three years, enabling the club to play in the Europa League for the first time in the club’s history. “Other historic milestones achieved in the last three years included our first FA Trophy final in May 2016 as well as our first victory in Europe when we beat Neftci Baku in Azerbaijan last July. On his part, Spiteri thanked Balzan FC for their constant support and wished them well for the future. “I would like to thank the president Anton Tagliaferro and his committee for the trust shown in me and everyone at Balzan FC for the last three years where we enjoyed many great moments. “I would like to thank the many people there who I worked with over the last three years, especially Peter Cipriott, my technical staff and last but not least all the players that were part of the team during this time.